“From the founding of Landmark Builders in 1997, our guiding principle has been to create the perfect client journey…through a positive life experience, when building a home. Definition : an object or structure on land that is easy to recognize, a building or place that is historical, an important event or achievement. We navigate a path of construction that is approachable, educational and satisfying. Streamlined workflow, sophisticated process and deep building expertise promises you an experience that is fun, educational and seamless. “We Build Landmarks.” Not a slogan, but a way of life for the passionate members of the Landmark Builders team. Led by owner John P. Caulfield, Jr., the Landmark Builders crew takes pride in their ability to listen, understand and create unique spaces for their clients to enjoy. As builders, we are extremely proud to have been recognized for excellence by the Building Industry Association (BIA) and the National Association of the Remodeling Industry (NARI) – recognition that supports our desire to be “Your Trusted Adviser for custom home builds and renovations” – NARI. Below are a list of some of our awards and achievements. 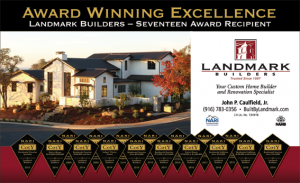 In the last 8 years, Landmark Builders has acquired 21 COTy Awards from NARI. BIA has presented Landmark Builders with 9 MAME Awards in the last 5 years. 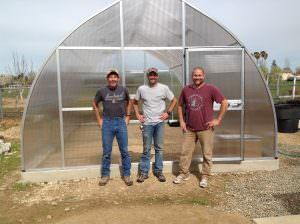 John with his crew from Landmark Builders at Granite Bay High School built a Green House for the students in Spring 2017. Zafia’s Family House started with a wish from a 12 year old diagnosed with cancer. It will eventually be a home that will be available to the families of long-term care patients at Kaiser, and Sutter or any other facility in the Roseville region. 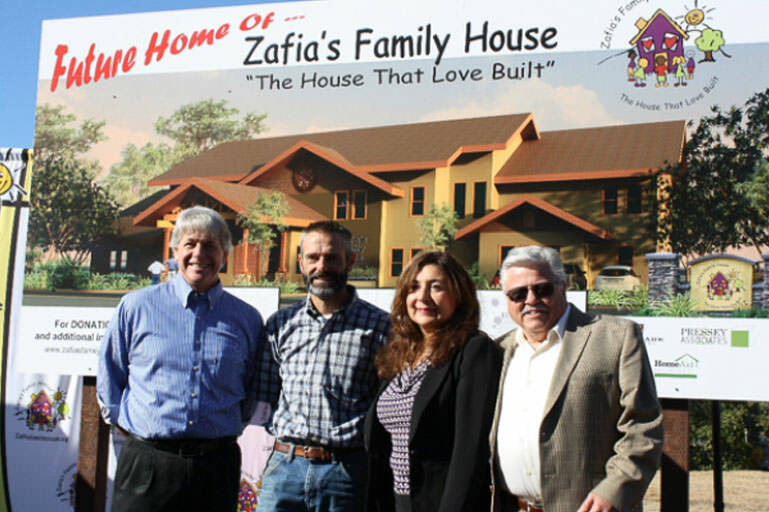 To learn more about Zafia’s house and how you can help visit http://www.zafiasfamilyhouse.org. Landmark Builders is an amazing group of people! John Caulfield and his team are incredibly professional and knowledgeable. Five stars-on budget and finished early! It would be hard for us to find a complaint about our whole house remodel with Landmark Builders. If you are looking for a professional approach to building or renovating your home then do consider John Caulfield and the team at Landmark Builders. I am extremely satisfied with my home and would definitely hire Landmark again if the opportunity arose.